Harold Elrick, MD. Dr. Elrick received his MD from Harvard University and has focused his life’s efforts on preventing disease and maintaining a healthy body. He participated in longevity and nutrition research involving the Caucuses, Hunzaland, Ecuador, and California. He studied their nutrition and lifestyle in order to determine the factors influencing their good health and freedom from chronic diseases. He authored over 97 papers and eight books related to health and longevity. Lowell H. Storms, PhD. 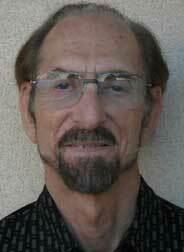 Dr. Storms was a professor of psychiatry at the University of California at San Diego. He conducted research on height and longevity at the San Diego Veterans Administration facility. He also co-authored a number of papers on height, body weight, obesity and longevity. Benjamin H. Alexander, PhD. Dr. Alexander was a research professor in chemistry at The American University, Washington, DC. He was also Assistant Secretary of Education during Reagan Administration. Dr. Alexander was one of the first scientists to recognize that the worldwide increase in body height and weight was contributing to the environmental crisis. He also observed that a lower average weight of future humans would conserve resources and water, which he feared would become increasingly scarce in the near future. Antonia Demas, PhD. Dr. Demas received her PhD from Cornell University and is the President of the Food Studies Institute. She has dedicated her career to the improvement of the long-term health of children. She has received national recognition for her research in nutrition and has been a strong advocate of plant-based diets. Andrzej Bartke, PhD. Dr. Bartke is a professor in the Department of Physiology, School of Medicine, at Southern Illinois University. He has conducted research on the effects of hormones on growth, aging and reproduction and has published over 500 scientific papers and books. He has published findings on how the hypopituitary dwarf mutation and endocrine regulation increase the longevity mice. His laboratory studies have established the role of growth hormone and insulin-like growth factor -1 in controlling mammalian aging. C. David Rollo, PhD. Dr. Rollo is a professor of biology at McMaster University, Canada. His interests include integration and functions of behavior, morphology and physiology related to the ecological design of organisms. He has researched how growth negatively affects longevity in mice and rats and has written a number of papers. He authored the book: Phenotypes: Their Epigenetics, Ecology and Evolution. Dr. Jonn Desnoes, MD, PhD,OMD. Dr. Desnoes has degrees in Western Medicine, Traditional Chinese Medicine, Psychology, Homeopathy and Clinical Nutrition. He received his postgraduate training at the Ellis Institute of Psychotherapy in New York and the Tropical Metabolism Research Unit at the University of the West Indies. He has researched obesity, anti-aging, exercise physiology, homeopathy, nutrition and Chinese herbal medicine. He was a consultant on malnutrition in the developing world for the Government of Jamaica and the Nutrition Research Division of the US State Department. He has contributed to papers on human body size and its relation to health.